Hogan Lovells has posted an 8% increase in profit per equity partner (PEP) to $1.38m after reducing equity partner headcount 6% to 523 in 2018. The firm today (25 February) posted revenue of $2.12bn, up 4% on $2.04bn in 2017, a less pacey rate of growth than the 6% achieved in each of the previous two years. Revenue per lawyer (RPL) grew at a faster 6% pace to $804,000 as the firm cut its legal workforce 2% to 2,637 while total partner headcount, including non-equity partners, was down 4% to 803. The numbers are less flattering in sterling teams, with revenue rising by less than 1% to £1.6bn while PEP passed the £1m mark growing 4% to £1.035m. London revenue meanwhile broke the £300m barrier rising 3% to £301.9m. While the firm made 31 partner promotions and 18 lateral hires, losses in 2018 included London litigation duo Jon Holland and Andrea Monks to Latham & Watkins in January and private equity partner Robert Darwin to Dechert in August, as well as a five-strong California team to Baker McKenzie. The firm also cut 54 of its around 500 business support roles in London, moving most of them to its low cost centres in Johannesburg, Louisville and Birmingham. The majority of revenue came once again from America, which accounted for 51% of the firm’s billings. Europe was second at 42%, with Asia Pacific and the Middle East contributing the remaining 7%. Key mandates for the corporate practice, which accounted for 31% of turnover, included Walmart’s $16bn acquisition of a 77% stake in Flipkart. The firm’s contentious and employment practice, which was busy with key client Uber on a number of cases, brought in 28% of billings. The remaining turnover came from finance (14%) and intellectual property, media and technology (9%). What attracted you to partnership? I’m working in tech, a space that didn’t exist 30 years ago. There are challenges facing clients that didn’t exist five years ago. The tech environment fits with the character traits of partnership. You have to be entrepreneurial, and it’s more exciting to be that way. It maintains interest. Hogan Lovells is the latest firm to venture into flexible lawyering after agreeing a partnership with New Law pioneer Elevate. The deal announced today (15 February) will give the transatlantic giant access to a pool of 1,500 self-employed professionals worldwide to support its UK business. Elevate will provide a group of pre-vetted lawyers to choose from for specific projects, with Hogan Lovells’ paying Elevate for the cover. Hogan Lovells expects to use between 30 and 50 lawyers from the pool every year and will be looking at four to ten-year qualified lawyers across all practice areas. The deal also gives Elevate access to the Anglo-American law firm’s alumni network and the arrangement will be used to offer a different working model to those who decide to leave the 2,600-lawyer practice. 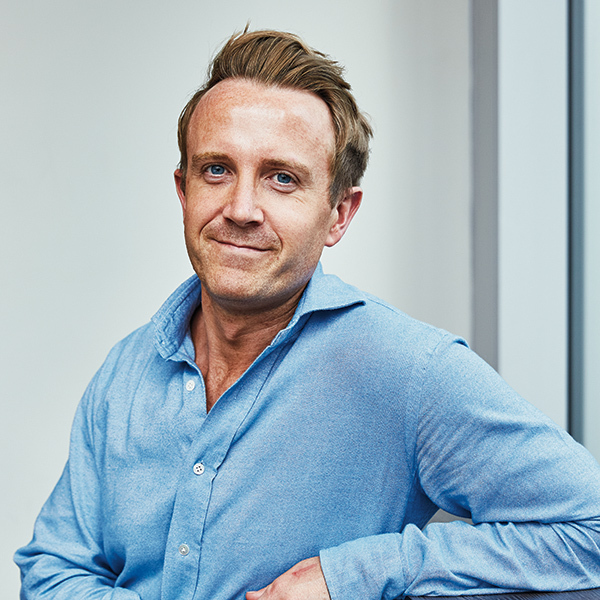 Hogan Lovells’ head of legal service delivery Stephen Allen told Legal Business: ‘The size of the transactions and matters any law firm is working on are getting bigger. It’s important that we have sufficient skills to meet the clients’ demands, so we feel we needed to expand our capability in particularly busy periods.’ He added that although the deal will initially only involve the firm’s UK operations, the collaborations could be extended globally in future. Founded in 2011, Elevate provides legal technology, consulting and flexible lawyering to legal departments and law firms. Hogan Lovells is the first major firm to go public with a collaboration with the Los Angeles-based company, which last year generated $40m in revenues. Elevate, which entered the UK market five years ago, also collaborates with regional law firm asb law and with the in-house departments of BT and HSBC. The much-touted business is unusual among NewLaw competitors in offering a broad range of services, spanning consulting and legal service provision. 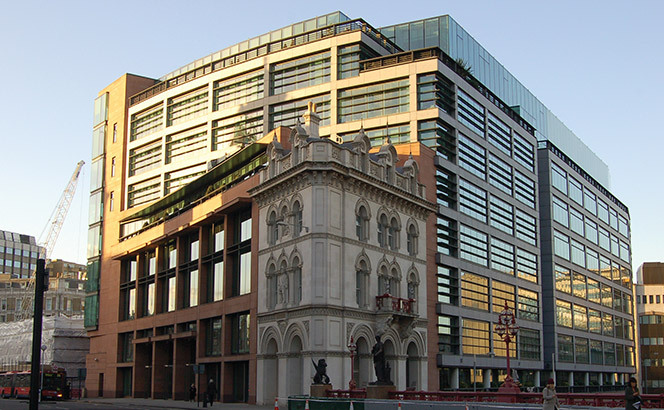 The move will be seen as further evidence of law firms’ drive to bolster low cost operations coming in the same week that Clifford Chance acquired Carillion’s volume law arm. Changes in the industry have also seen law firms collaborate with other providers with DLA Piper in 2016 signing a deal with Lawyers On Demand to provide flexible cover while Allen & Overy the same year launched the MarginMatrix derivatives business with Deloitte. As the January senior appointments merry-go-round at City and global law firms continues, Hogan Lovells has announced a new chair while Travers Smith has re-elected David Patient as managing partner. In a move that brings its German practice in the spotlight, Hogan Lovells has announced that Hamburg-based Leopold von Gerlach will replace Nicholas Cheffings as chair of the board on 1 May for a three-year term. A member of the board representing continental Europe since 2014, IP, media and technology partner von Gerlach was voted into the new role by the partnership after the board put forward his name following a firm-wide consultation process. He joined the firm in 1995. Members of Hogan Lovells’s board make up the compensation committee, which looks after the firm’s annual bonus scheme and reviews equity partners’ remuneration every second year. They are also part of the equity elevation and partner advancement committees, working with the firm’s management on the promotion of associates and counsel to the partnership. The board provides input to the international management committee and oversees the affairs of the firm, but has no executive responsibility for strategy. Real estate disputes co-head Cheffings was Hogan Lovells’ first post-merger sole global chair, taking over from co-chairs Claudette Christian and John Young in 2012, two years after the merger between Lovells and Hogan & Hartson. He was re-appointed in the role in 2015 and is now stepping down after reaching the maximum two terms set by the firm. Cheffings will continue to lead Hogan Lovells’ real estate disputes group along with Mathew Ditchburn. Meanwhile, Travers Smith re-elected David Patient as managing partner after he stood unopposed. Travers-bred corporate lawyer Patient became a partner in 1999, when he established its Paris office, and replaced Andrew Lilley at the helm of the firm in January 2015 . He had previously run for the managing partner role in 2009 losing out to Lilley, who went on to serve a second term in 2012. The firm’s most recent financial performance showed a 4% rise in revenue to £125m in 2016/17, marking eight consecutive years of growth. But profit per equity partner dropped 4% to £970,000, with Patient saying at the time the firm was ‘right in the middle’ of a period of significant investment . Hogan Lovells has made up five partners in London as part of a New Year promotions round that ushered in 31 new partners globally. The London promotions include Alex Harrison, finance partner in Infrastructure, energy, resources and projects and corporate partner Jeremy Pickles in the firm’s investment funds team. The round saw two new partners made up in Hogan Lovells’ litigation practice – Valerie Kenyon and Matthew Felwick, while restructuring and insolvency lawyer Alex Kay was promoted in the firm’s finance practice. The total of 31 partner promotions was up on last New Year’s round, which saw 29 made up internationally, including three in the City. Globally, the move sees seven new partners in corporate, ten in litigation and arbitration, five in government regulatory, five in finance and four in intellectual property. Eleven of the 31 lawyers made up to partner– or 35% – were women. Europe saw the lion’s share of the promotions, with 15 new partners in London, Munich, Amsterdam, Madrid, Dusseldorf, Frankfurt, and Hamburg. In the US and Latin America, 13 were promoted across Mexico City, Denver, Miami, New York, Northern Virginia, Philadelphia, and Washington DC. Three were promoted in Asia across the Shanghai, Beijing, and Tokyo offices. 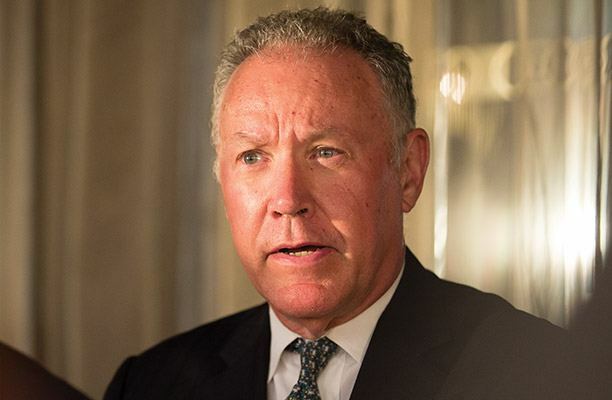 Steve Immelt, Hogan Lovells’ CEO, said: ‘We are seeing real momentum with these promotions – in terms of diversity of our practices, our offices, by gender, and by ethnicity. ‘They represent the globally diverse nature of our business. With that in mind, I am particularly pleased that more than a third of our new partners and new counsel are women’. City firms have landed lead mandates on the administration of beleaguered British tobacco wholesaler Palmer & Harvey (P&H) following the collapse of a rescue takeover by The Carlyle Group. Ashurst and Hogan Lovells are advising administrator PwC, which was brought in when a sale process that would see US buyout giant Carlyle acquire the ailing business fell over. Carlyle had signed a heads of terms and memorandum of understanding to acquire P&H – which counts UK supermarket chain Tesco as one of its biggest clients – following a competitive sale process in the summer. The deal was not done by the time the private equity firm’s exclusivity ran out at the end of November, with the company’s liquidity crisis giving it no other option than to call in the administrator. The Ashurst team is led by Giles Boothman, global head of restructuring and special situations, and also includes banking partner Jane Fissenden. Restructuring partner Deborah Gregor is leading the Hogan Lovells team, which is acting for both PwC and P&H’s lending banks. 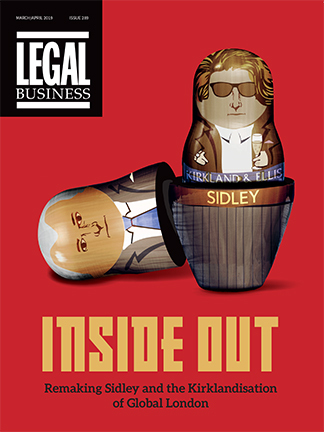 Allen & Overy is advising Imperial Tobacco as one of the largest trade creditors to P&H. Slaughter and May is acting for the other major trade creditor, Japan Tobacco International (JTI). P&H had tried to address its liquidity issues in April when trade debt owed to Imperial and JTI was converted into senior secured long-tenor debt. The company was also hit by Tesco’s proposed £3.7bn takeover of rival tobacco supplier Booker, which shrouded the future of P&H’s relationship with its biggest customer in doubt. That deal was given the provisional go-ahead in mid-November by the Competition and Markets Authority (CMA). ‘P&H had been facing a number of systematic issues in which the company was caught between powerful tobacco manufacturers and retail giants, a position which was not sustainable in the face of severely squeezed margins’, one industry source said. PwC’s Matthew Callaghan, Ian Green and Zelf Hussein are the joint administrators. Callaghan, joint administrator and partner at PwC, said: ‘The P&H Group has faced a challenging trading environment, and the need for significant restructuring has been recognised for some while. The company has insufficient cash resources to continue to trade beyond the short term and the directors have concluded that there is no longer any reasonable prospect of a sale. Therefore, the directors have had no choice but to appoint administrators’. The P&H Group employed around 3,400 employees, of which roughly 2,500 have immediately been made redundant. Throwing a lifeline to the increasingly eroded principle of legal professional privilege (LPP), Eurasian Natural Resources Corporation (ENRC) has this week been granted the right to appeal against a controversial order to disclose documents in a Serious Fraud Office (SFO) investigation. Hogan Lovells is the latest in a series of firms to be instructed by ENRC over the SFO investigation. 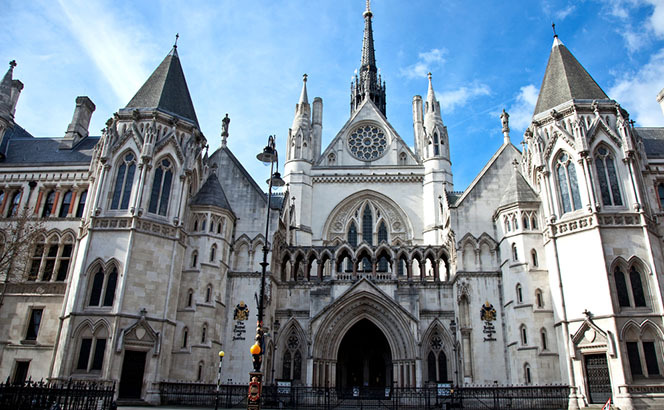 In May, the High Court had ruled that documents prepared by the mining giant ENRC relating to an SFO probe into alleged fraud, bribery and corruption were not covered by LPP and therefore had to be disclosed. Herbert Smith Freehills disputes partner James Norris-Jones told Legal Business that it is a difficult situation for clients at the moment due to the SFO and Financial Conduct Authority (FCA) taking ‘increasingly aggressive approaches in an incredibly regulated world’. He added: ‘It’s becoming increasingly difficult to preserve LPP. I don’t think it’s good for this country to be out of step on an issue like privilege’. Simmons & Simmons senior partner Colin Passmore described the appeal being granted as ‘good news’, but also called for the matter to be concluded quickly. Signature Litigation had been representing ENRC throughout the investigation, led by founder Graham Huntley, who had instructed Fountain Court Chambers’ Richard Lissack QC and Tamara Oppenheimer, in addition to Outer Temple Chambers’ Saaman Pourghadiri. However, Hogan Lovells has today (12 October) taken over the mandate, with commercial litigation partners Chris Hardman and Michael Roberts advising ENRC on its appeal. ENRC had initially hired Dechert to represent it and undertake a self-reporting process in 2011, but dropped the firm in 2014 after the company claimed it had been overcharged by over £11m.